The new/old flexibility of the Stability and Growth Pact (SGP) of the EU is already a fact. It was applied by the new European Commission when it presented its opinions on the budgetary plans of the euro area member states. According to the analysis of the draft budgets of 16 countries (without Greece and Cyprus which are under special surveillance), the budgets of only five are entirely compliant with the budget deficit and public debt rules. Those are Germany, Ireland, Luxembourg, the Netherlands and Slovakia. The budget plans of Estonia, Latvia, Slovenia and Finland are relatively okay. But for seven countries there is a risk of non-compliance with the SGP: Belgium, Spain, France, Italy, Malta, Austria and Portugal. However, only three of them are getting a sip of air by March 2015 to correct their plans. This is the news that caused sharp reactions in the European Parliament, especially on behalf of the EPP group. 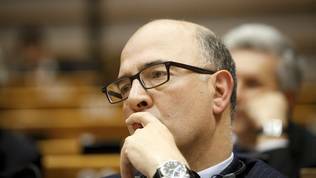 When presenting the analysis on 28 November, the economic and financial affairs commissioner, Pierre Moscovici (France, S&D), explained that a decision on the budget plans of Italy, France and Belgium will be taken in March because the picture is expected to be clearer then on whether their governments are implementing their commitments for reforms. What distinguishes these three countries from the other four in the risky group is that they have committed at the highest government level to implement the reforms they are expected to in specific timeframes. Their governments sent letters committing publicly to that. But what impresses very much is the difference of the situations of Italy and Belgium and of France. According to the Commission, Belgium has achieved some progress in implementing part of the country-specific recommendations this year. The Commission urges the Belgian authorities to do more. It gives Belgium time until the beginning of March to correct itself in harmony with the letter sent by Prime Minster Charles Michel, Finance Minster Johan van Overtveldt and Budget Minister Herve Jamar. In their letter, the three assure that the government is completely aware that "budgetary efforts without strong structural reforms provoke a very real risk that at the end of the day no new sustained economic growth will emerge on the horizon" and commits to maintain sound public finances and to intensify the work on structural reforms. For Italy, too, the Commission is of the opinion that there is some progress but much more is needed, especially in terms of the public debt which is unsustainably high. Italy sent a letter of assurance as well, written by Minister of Finance Pier Carlo Padoan. In it, he focuses on two important theses which (without this being explicitly pointed at) require triggering of the existing possibilities for deviation from the SGP targets. Such are the economic circumstances, according to which Italy's economy has been in a recession a third year in a row and the 2015 perspectives are not very encouraging. The second thesis is that the Italian government is in a process of realisation of really radical reforms in many areas. This is precisely the thesis with which Prime Minster Matteo Renzi demanded more flexibility when applying the fiscal discipline rules. In his letter, Mr Padoan points out that ongoing at the moment is a tough process of approval of the labour market reform (which the Commission has been insisting on in all its country-specific recommendations for Italy), improvement of the public administration, reform of the judiciary and fight against corruption, improvement of the access to capital and simplification of regulation, simplification of the tax system, reform of the education system. To Pier Carlo Padoan's letter is attached a strict timetable with the next steps. The labour market reform caused severe reaction of the trade unions in Italy who immediately set a date for a general strike in the beginning of December. Prime Minister Renzi was determined, however, that this will not stop him to continue with reforms. "The country is divided into two: those who acquiesce and those who move forward", he said two weeks ago. In an interview with The Financial Times recently, Mr Padoan said that if there are protests against reforms that means they will have implications, i.e. they are in the right direction. He added that the government is "very determined" to pass the new labour act so that it can enter into force as of the beginning of next year. However, the situation with France is a bit different which Moscovici himself noted as well. The country is not part of the preventive arm of the SGP but of the toughest one - the corrective arm. According to the European Commission, France has achieved "limited progress" which is different wording than "some progress" as is used for Italy and Belgium. Nonetheless, because France as well sent a letter [in French], signed by Prime Minster Manuel Valls, the Commission decided to give the French government more time (by March) to correct its plans according to the agreed targets. France has already once received additional time to correct its budget targets by the previous Commission at the time when a minister of finance was Pierre Moscovici, the EU economic and financial affairs commissioner. The problems Italy and Belgium have are definitely different than those of France. The government of Belgium has been formed in the beginning of October "only" five months after the elections (against the backdrop of the previous time when the negotiations on a new government took 18 months). This is a serious argument in support for "more flexibility" to give the new cabinet a chance to enter completely into the mandate and provide a more detailed programme for reforms. Belgium's biggest problem is the public debt which exceeds 100% of GDP. Italy, too, is in a position that deserves a chance to see the effect of the launched reforms, even more when Minister Padoan points out in his letter to the European Commission that, in parallel to the implementation of the country-specific recommendations, ongoing is also a political reform - of the electoral legislation and of the Senate. According to him, these reforms will facilitate and accelerate the legislative process and therefore will enhance the efficiency of the government actions. The huge pressure of the government for reforms is already evident in the falling rating of the 39-year old Italian prime minister Renzi. Besides, the reforms process has been launched in the beginning of the mandate of the Italian government (February 2014). The situation in France is very much different. By far, the country, under Francois Hollande's presidency, was refusing to comply with the Commission's recommendations and even stated visions for reforms of its own. Neither of them, however, did not work. Is there a double standards for France? MEPs from the European People's Party group (EPP), but also from other political groups, attacked harshly Pierre Moscovici during the regular monetary dialogue in the European Parliament's economic committee on 2 December in Brussels. EPP were not happy with Mr Moscovici's appointment on this precise post namely because of France's poor record in applying the unanimously agreed rules. His nomination, however, was approved in a package with the other problematic nominations thanks to the "grand deal" between the EPP and the group of Socialists and Democrats in EP on the approval of the new Commission. 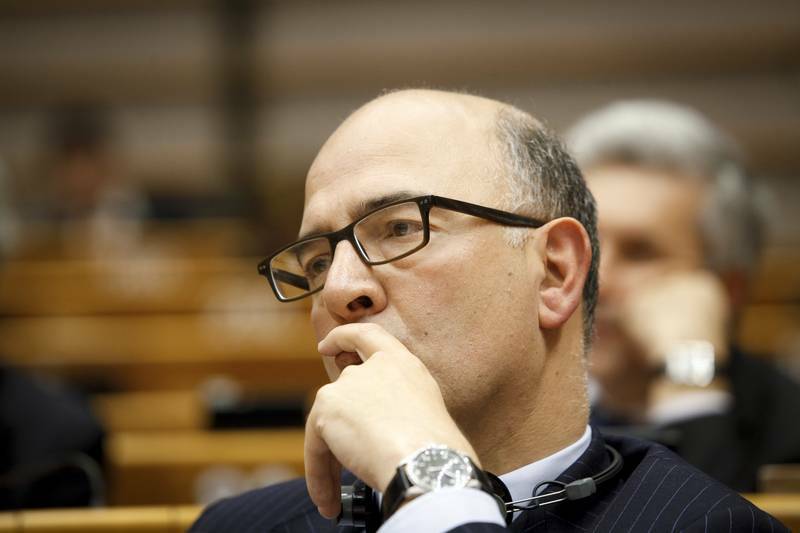 During Mr Moscovici's hearing, however, it was evident that this does not at all mean a peaceful term. 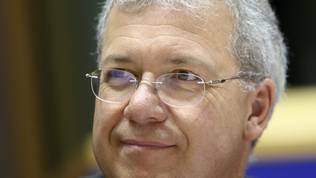 MEP Markus Ferber (EPP, Germany), deputy chair of the economic committee, noted that the Commission had not specified a deadline in March. It is only said "in the beginning of March" when the final decision will be taken on the budget plans of France, Italy and Belgium. He underscored that the rules of the game have to be respected. It seems that the criteria are being loosened and that 2014 is the year that is very difficult to ensure respect for the rules. Why, he asked. Mr Moscovici tried to explain this with the late formation of the new Commission in November when it is too late to start a dialogue with the euro area member states. According to the European legislation, they have to present their budgetary plans by 15 October each year and the Commission is obliged to give an opinion in two week's time after that. The then commissioner for economic and financial affairs Jyrki Katainen, now a vice president of the Commission responsible for jobs and investments, presented only a "preliminary" analysis saying that the more detailed analysis will be presented by the new Commission. Moreover, as this caused strong reactions, it was stated that this did not mean that all plans are in line with the fiscal rules. Esther de Lange (EPP, the Netherlands), a shadow rapporteur on the EU's economic governance, was even sharper in her criticism recalling a formal question of hers to the Commission illustrated with Orwell's Animal Farm. According to her, Moscovici's answers in front of the committee made it clear that some animals are more equal than others in the Commission. It is evident that different rules apply for different countries to the benefit of the big ones. What is so difficult in 2014 that we have this problem with applying the rules, Ms De Lange asked. Pierre Moscovici firmly rejected that there was a different approach, saying there was only insufficient information. Sanctions have to be applied only on the basis of objective information which is not there for those countries. 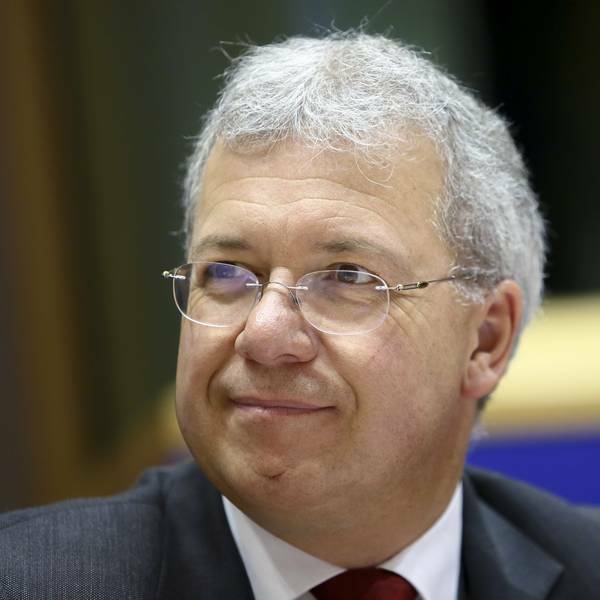 However, he failed to convince the MEPs from the EPP group. Dariusz Rosati (EPP, Poland) said that an impression is being created that the Commission is applying double standards and asked what criteria are being used. Is it enough the member states to simply not provide sufficient information to get additional time, he asked. The commissioner tried to explain that the three countries had not received an extension but only additional time to precise the information. He assured that the Commission will not hesitate to undertake the necessary measures. Moscovici attempted several attacks on Jyrki Katainen for the current situation, but promised that next year the dialogue with the member states will begin in September. This means much earlier than the deadline for sending the budget plans for the coming year (15 October). Gunnar Hokmark (EPP, Sweden) also joined the criticism by directly asking Pierre Moscovici how did he view the budget deficit - as an opportunity to boost the economy or as harmful for the economy. Because, if deficits are viewed as stimulus then the countries with the biggest budget holes must be the most dynamically growing ones. He also asked if Moscovici shared the view that non-imposing sanctions for too long under this procedure (it is in force only since last year) was actually undermining the credibility of the Stability and Growth Pact. The French commissioner again was forced to assure, just like during his hearing in the beginning of October, that he is a supporter of strict fiscal discipline. "I truly believe that the deficits and debt are not a solution for the economy. 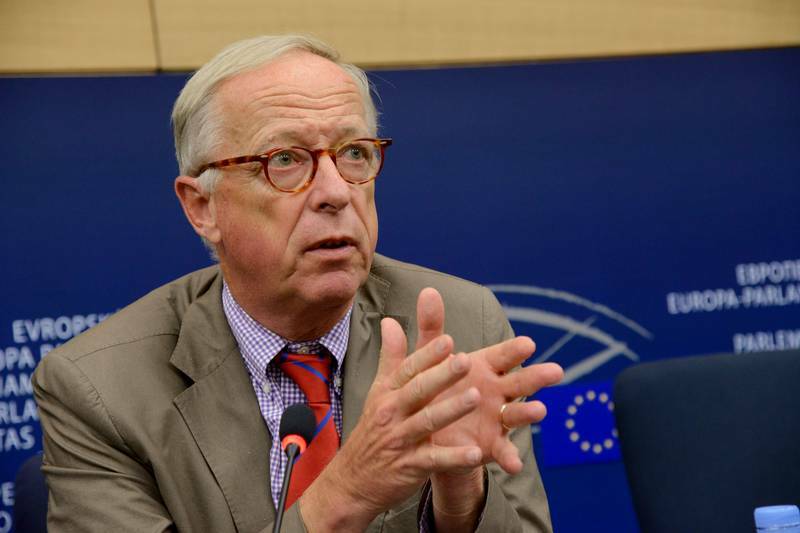 They are enemies", he said on 2 December in front of the economic committee of the EP. Regarding sanctions, according to Moscovici, if reforms are done and they lead to improvement of the competitiveness of the economy then there is no need of sanctions. But if necessary, there will be penalties when the dialogue had not led to the needed efforts and reforms. Sylvie Goulard (ALDE, France) asked to know what was the legal basis for the postponement of the decision for the three countries. Pierre Moscovici answered that the decision was taken by him and Vice President Valdis Dombrovskis, while the College was only informed. He again underlined that there was a need for more certainty what measures these countries are undertaking before taking a decision on sanctions. The EPP MEPs, but also from other groups, remained unhappy with the answers, moreover because, according to Pierre Moscovici the Commission was, in fact, the strictest toward Italy, France and Belgium. It was not clear how exactly is this strictness manifested since the three countries get additional time until a decision is taken whether their budgetary plans are in line with the fiscal rules or not. 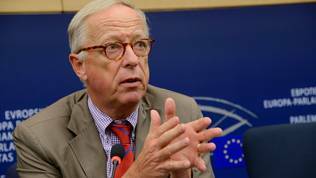 Juncker's Commission promised to present a view of its own about the circumstances when will be applied the flexibility in the SGP. Pierre Moscovici reassured the MEPs that he never meant "new flexibility" but the already existing one. The problem is, however, that it has already been applied for France once but to no avail. The second problem is that France is in one group with countries that actually have strong arguments to demand flexibility - they are doing reforms. It is true that the French government is pushed to the wall and has announced an ambitious reforms programme but it did that only after a real risk emerged in October its budgetary plan to be rejected. Only a day before Jyrki Katainen presented the preliminary analysis, Premier Manuel Valls presented officially the reforms programme. The lack of trust in France as to how genuine its intentions are for reforms provoked MEPs to recall that it was France (together with Germany) that first violated the fiscal rules in 2005 but instead of being punished it received "flexibility" and then came the crisis. Something which recently recalled Lithuania's President Dalia Grybauskaite. March must, indeed, be the deadline because it is still possible, under pressure, France to manage to launch the long-delayed tough reforms. If that happens, this flexibility will not be in vain. However, it will continue to be highly unfair in terms of the rest who did painful reforms, paid and are still paying a high price but were not given the luxury of flexibility. Such is the case of Ireland which applied a huge reformist effort and is now among the five euro area member states with faultless budgetary plans. Even Italy put an end to the decades long dragging of its feet and started radical reforms. Why is France different? It even lost its role of an equal part of the Franco-German EU motor and is now only a trailer. In the autumn economic forecast, the Commission presented on 4 November, it s clearly seen what the perspectives are for the three countries. For Belgium the Commission says: "Headwinds to recovery", for Italy: "Improving external demand to drive a tepid recovery" and for France: "Weak growth, low inflation and a rising deficit". I wonder what will the weather be in March?